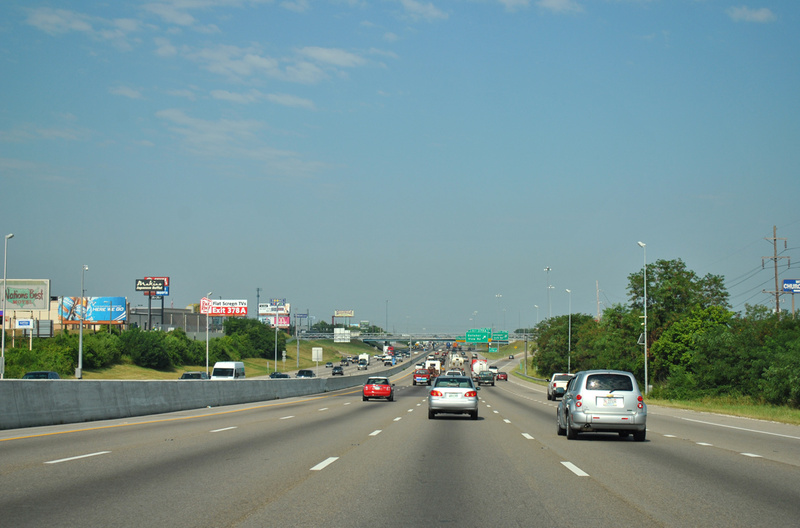 The overlap for Interstates 40 & 75 swells to ten lanes on the west side of Knoxville. 186,045 vehicles per day were recorded on this stretch in 2013. Photo taken 08/17/13. Expansion of the Interstates 40 & 75 overlap in Tennessee was completed in 2002. 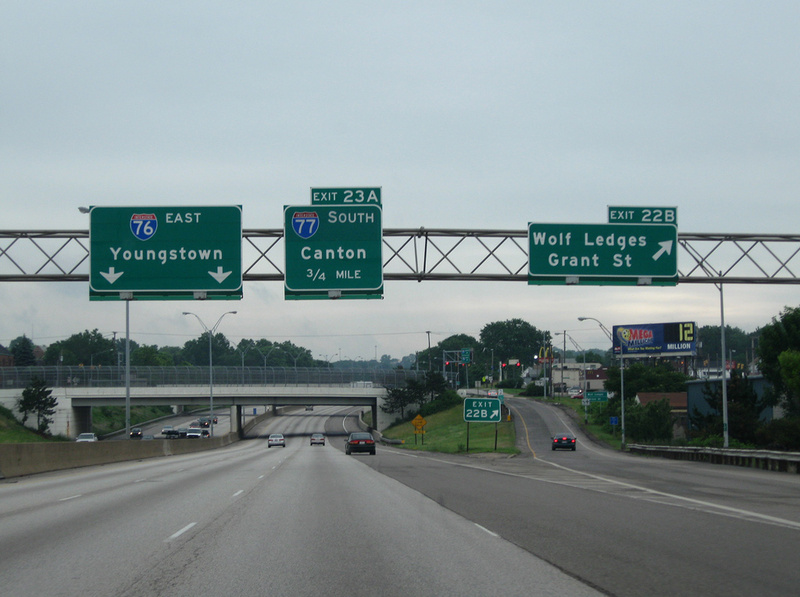 Interstates 76 and 77 combine for 1.9 miles through Akron, Ohio. Photo taken 06/15/10. Interstate 76 replaced Interstate 80S through Ohio in 1973. The Youngstown freeway loop is signed as I-680 instead of an I-X76, referencing the previous numbering of the Ohio Turnpike eastern extent as I-80S.